Grew Up… in the Midwest. As a young man, Nick served in World War One, but now that the war is over, he’s ready to start a new life. Living… in West Egg, a wealthy neighborhood in New York City. Nick's never been poor, but even he's a little intimidated now that he's renting between millionaires' mansions. As it happens, Nick's small house is right next to Jay Gatsby, a nouveau riche charmer known for throwing the Jazz Age's most extravagant parties. Profession… bondman. Nick moved to New York to get involved in business, but he ends up a little side-tracked when he gets tangled up in Gatsby’s affairs. Interests… writing. Nick is a consummate observer, and the dazzling 1920s provides him more than enough to write about. Once Nick has attained an invitation to Gatsby’s parties, he also spends a good deal of time socializing with New York's elite, in between visits to his cousin Daisy, who lives right across the bay. Relationship Status… dating golfer Jordan Baker, whom he met through Daisy. Their relationship isn’t anything spectacular or passionate, but at least it’s better than Gatsby’s hopeless but eternal pining for Daisy. Challenge… not losing his faith in humanity. Nick is drawn to New York by its air of glamour, but he's quickly finding out that all that glitters is not good. 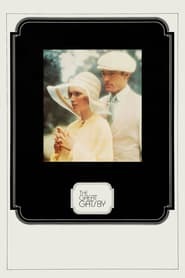 Gatsby’s love for Daisy is pure, but his methods of gaining his fortune might not be; Daisy is in an unhappy marriage; and while everyone Nick meets may pretend to be happy, they're all secretly miserable. Nothing, it seems, is turning out right. Personality… reserved, practical, and intelligent. Nick knows he's been lucky in life, and so he's "inclined to reserve all judgments" when it comes to the others' affairs. As a result, he makes the perfect observer: always there for the events, but never too involved in them. 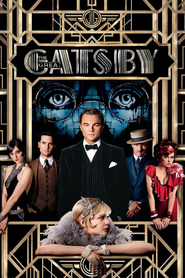 While Nick initially doesn't get along with Gatsby, he soon learns to respects Gatsby’s optimism, especially as his starts to dwindle under the pressures of reality. Nick Carraway's popularity ranking on CharacTour is #1326 out of 5,000+ characters. See our top-ranked characters and read their profiles.